Your troubled teen has been ordered by the court to complete community service hours. Now what? He or she is not alone. Plenty of teens — about 55 percent or 15.5 million young people — volunteer across the nation, according to a study done by the federal government of more than 3,000 teens from January to March 2005. Many of them volunteer on a regular basis, usually through schools, youth programs or religious organizations. Community service can even help young people better themselves academically. Even if your young person has been ordered to complete community service hours, he or she can still benefit from them. They can learn to cultivate gratitude for what they have instead of focusing on themselves. They will also see those in need and look for ways to help others, bringing them joy and themselves happiness in the process. When young people participate in volunteering, they show greater resilience and better self-esteem. Teens can learn skills that will help them all throughout life, such as communication, time management, decision making, responsible behavior and leadership. They can add these skills to scholarship applications or even to a future job resume. When families volunteer together, the likelihood of teen’s volunteering increases. If you lead by example, you can encourage conversation on related issues and bond with your child. They will see the value of commitment and discipline and how their service is helping the agency and the community as a whole. 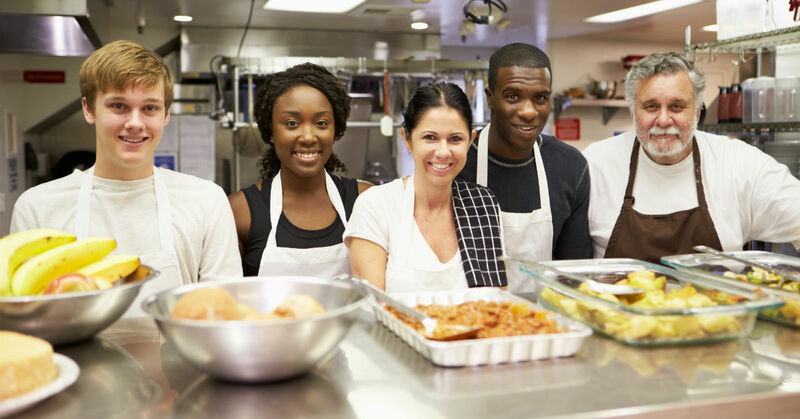 With dozens of community service hours available, your teen should find something that he or she enjoys doing. This will help motivate your child, increasing their engagement and their participation. Consider time slots and location. Some facilities have restrictions on if teens can serve for their organization. Call ahead of time to make sure that you don’t run into any complications. Sports-related issues, such as Special Olympics or school sports events. Hospitals or nursing homes – Teens can work with the most vulnerable populations. Meals on Wheels provides food for the disadvantaged. Teens can prepare meals and help with delivery. Even a visit to a lonely person at a nursing home makes a difference. You can play games together, read or just chat. Any type of drive or collection – This might be get-well cards, canned goods, school supplies, books or any number of items. Recycling project – If your teen is concerned for the environment, he or she might enjoy a recycling project. This might include collecting used computers, hard drives, batteries or cell phones. You might set up bins or transport the recycled materials to the recycling center. You can raise awareness by going from door to door to give out more information. Additional options – Habitat for Humanity, political campaigns and museums might have community service opportunities.